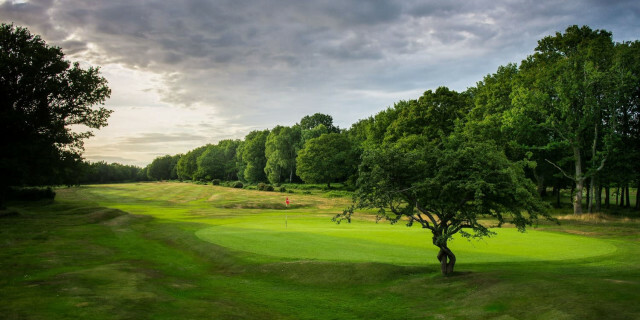 Berkhamsted is widely revered as being among England's most 'natural' golf courses, with bunkers absent on its layout, featuring holes that rely more on subtlety to challenge golfers. And it has stood against the test of time both time and innovation. Despite two decades’ worth of innovation in golf ball and golf equipment technology, the average winning score in the prestigious Berkhamsted Trophy – a World Amateur Golf Ranking event – has not improved in the last twenty years. And 2018’s event, which reached its climax on Saturday 7th April, showed that even a golf course with no bunkers, of modest length, and largely unchanged for 100 years, can still pose a demanding challenge to modern elite amateur golfers armed with the latest drivers, high-tech golf balls, distance measuring devices and other equipment produced by millions of dollars’ worth of 21st century R&D. James Braid, Harry Colt and Willie Park Junior, who all had a hand in shaping the golf course at Berkhamsted, would be proud. Matt Wilcox, from North Hants Golf Club, took this year’s 72-hole Berkhamsted Trophy – held in conjunction with Clere Golf – with a five under par total of 279, coming from three shots back on the final day. His name joins a long list of illustrious others on the Berkhamsted Trophy, including amateur golf giants Peter McEvoy and Gary Wolstenholme, plus European Tour winners Sandy Lyle, Andy Sullivan, Tom Lewis, Graeme Storm and former World #1 Luke Donald. Since 2009 a decade’s worth of winners in the Berkhamsted Trophy have averaged 69.45 shots per 18 holes. In the previous decade, 1999-2008, the equivalent was 69.25 – showing that this fascinating and traditional Par 71 golf course, laid out on common land thick with gorse and defended on many holes by the Grim’s Dyke – a relic of the Bronze Age – is increasingly winning the battle against high-tech golf equipment designers. At no point are golfers faced with fairway or greenside bunkers in Berkhamsted’s 6,605-yard length. Instead, they take on Hertfordshire’s largest expanse of natural gorse and heather, striving to drill the ball through tunnels of mature trees, and aiming to hit finely-manicured greens defended by countless grassy mounds. You need your best chipping and pitching game, when you take on Berkhamsted. “It is a very fair golf course which demands straight hitting” said Wilcox, a 44-year old lead working craftsman from Hook in Hampshire who won the British Mid-Amateur Championship in 2017, and was also the leading points-scorer in the winning Hampshire team during the 2017 England Golf Men’s County Championship. Howard Craft, Club Manager at Berkhamsted, said: “It is good to see that our defences against technology-assisted low scoring are as good as ever. Once again Berkhamsted has proven that, despite what you may read in the media these days, you don’t need spectacular man-made hazards or extreme length to keep the scores reasonable. It is a leading example of how a well-run golf club can work in harmony with various ecological interests. The club, which is currently engaged in a major heather-regeneration project, maintains strong relationships with English Heritage, Natural England and the Herts & Middlesex Wildlife Trust; it is laid out on public land with over five miles of bridleways and pathways running throughout the golf course and its huge 560-acre estate, full of natural beauty. See www.berkhamstedgolfclub.co.uk for all information.